As general aviation people, we never stop trying to find creative ways to get the public out to the small airfields and municipal airports we call home. Those in the aviation family already know that the ramp of any small airport is where you'll find friendly people who will go out of their way to ensure that your visit will be welcoming and enticing. 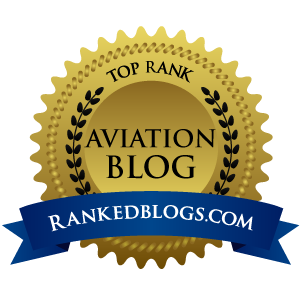 We aviators already know that flying in and out of these smaller airports is very efficient, without the endless hassles found within the airline Hub and Spoke system. For pleasure flyers, you strap in, run-up and go, in search of those wonderful but wildly expensive hamburgers we chase. But where small airport operations really excel is with the business flyer, where every second of their day is choreographed, and time spent in a security line or riding a parking tram in from the next county means less time to close deals and make money. In our quest to introduce the public to the GA world we love, just about everything has been tried. We've flown Young Eagles, we've opened our hangars for Airport BBQs, and we've even carried TV reporters aloft for Discovery Flights. But the Holy Grail of public awareness for GA has always been to get passengers in seats so they can experience the convenience of private air travel for themselves. To that end, a new "all-you-can-fly" air carrier called Surf Air thinks they have created a business model for frequent business flyers that will surely contribute to changing the public's perception of GA, and help people to understand why small airports matter in our nation's infrastructure. In 2011, Wade Eyerly and his brother, David, created a new business model for private air travel, a members-only service that would provide travel between top United States cities. 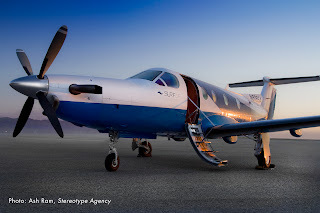 Surf Air was created to build a business service that would introduce the premiere experience of private flying to passengers who wouldn't otherwise be able to afford it. "As part of an exclusive community, our members will be able to book flights in under 30 seconds using our smartphone app, arrive at the local airport just 15 minutes before takeoff and park for free as long as desired. Members will walk onto the tarmac where our concierge and pilots will greet them by name as they board our 8-seat Pilatus PC-12 executive aircraft and settle into their plush leather seat with room to work or relax. Flying in a private charter can be expensive and requires planning and booking well in advance. Now, Surf Air members will have the experience of flying in a private aircraft without the usual high price tag." The idea for Surf Air came to the Eyerlys several years ago, but the inspiration was not initially about flying frequent business flyers. "My brother Dave was in flight school, and I'd wrapped up a couple years of a very intense travel schedule, sometimes flying 27 days a month," says Wade Eyerly. "At the time, we thought it would make sense to start an airline flying students from one campus to another where there was a strong rivalry, and even stronger dating scene. As the years went by, we continued to pursue our careers, and ultimately, we hit on three keys to developing our airline. We learned that 90% of America's airports operate at less than 1/3 of capacity, and it made operational sense to use executive GA aircraft. And of course, we developed the subscription model for Surf Air...it is something we are very proud of, and eager to prove." That subscription model is best described in terms not associated with aviation. "Think of it the way the old Netflix worked," Wade Eyerly explains. "It was all-you-could-watch, but you could only keep four of their DVDs at your house at any one time. Well, we do the same thing. You can hold four Surf Air boarding passes at once. Fly one, book another. Cancel one, book another. It really is that simple. And it gets better when you factor in that you will be able to bring guests for free. All you will need to do is book two weeks in advance and they will be able to join you on the flight." "Ultimately, we think there are 53 routes in the country for which our model of all-you-can-fly service for frequent commuters makes sense," Wade Eyerly says. "Largely, those routes map to what the Obama Administration has proposed for high speed rail. We use the same datasets, and look for city pairs where people are moving between them with great frequency. Ultimately that's hundreds of aircraft regularly moving commuters about the country." While the carrier will launch with three PC-12s, they are not necessarily staying with that airframe long-term, says Eyerly. "Originally, we thought we'd launch using Cessna 208 Grand Caravans with an executive interior," he said. "We loved the high wing design and overall capabilities. But the additional speed afforded the PC-12, and the pressurization, let us fly higher and faster through our routes. The PC-12 makes a lot of sense as an aircraft because of its excellent capabilities. So, we're going to launch with the PC-12, but as we prove the model and find the right iterations that will help us succeed long-term, we will re-open our aircraft competition. A 208 offers a cargo pod too, which adds some real value when exploring routes with particular needs - like golf clubs to Pebble Beach or skis to Mammoth, CA. So, it's an open question what aircraft we will settle on in the end - but in the short-term, we own three PC-12's. They're incredible machines and almost universally loved by the pilots that fly them." Those "pilots" Eyerly is referring to are thought of differently on this carrier. "We hire customer service agents who can fly planes well," he said. "Our members will interact with our pilots directly, and it is important that they represent us well. We are very proud of our pilots. They have a great love for our members, and demonstrate considerable care in how they interact with them. We feel this is key to introducing members to the GA experience." By introducing GA flight to a larger audience, Eyerly says "a lot of people will enjoy, for the first time, the delight that is private air travel. 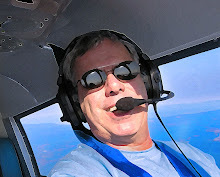 There's no question that people just don't understand the GA world - and as we introduce large quantities of people to GA flying, some will simply fall in love." When Surf Air's members step off the airplane onto a friendly GA ramp feeling refreshed and relaxed after enjoying the luxury of private air travel, dots will become connected about this wonderfully efficient alternate to commercial airline travel. With each new passenger, GA will gain yet another advocate for our way of life, another person who might take our side when airports like KSMO in Santa Monica are hit with a barrage of public pushback and face threats of closure. And if there's one thing GA needs right now, it's more advocates.